Having last month previewed the impressive Canadian contingent due to appear at this summer’s Maverick Festival, attention now turns south of the border to see what delights are being offered from the nation that gave us the Americana genre. The whole ethos behind this festival is to maximise quality from its modest budget and, while the likes of Springsteen continues to grace other venues this summer, there are several fine US artists to catch down at Easton Farm Park in July. The festival organisers are more likely to trawl the American Music Association for acts rather than its brasher fellow Nashville resident, the Country Music Association, and the star draw this year is a previous winner from their prestigious awards ceremony. Back in 2004, Mindy Smith won the hearts of the AMA awards panel and, partially on the back of her Dolly Parton ‘Jolene’ cover, took the Horizon Rising Star honours at that year’s annual shindig. In the near decade since that accolade, Long Island native Mindy has cemented her status as a highly respected singer-songwriter. She has had an occasional brush with some of Nashville major labels but ultimately her fiercely independent spirit has led her down the path of a self controlled route. This has culminated in a self-titled album, her fifth to date, which is set to be the centrepiece of Mindy’s UK shows this summer. Having graced the Cambridge Folk Festival on a previous UK visit, Maverick regulars will surely be treated to a smashing set from Mindy on the Saturday evening of this year’s festival. While on the topic of female singer-songwriters, two contrasting US performers with varied experiences of the UK scene have been booked to appear in this rural Suffolk location. 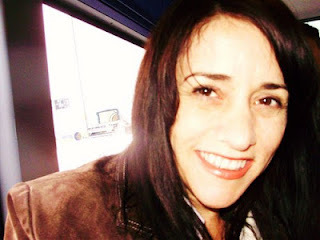 Eileen Rose, originally from Boston but now based in Nashville, has spent a large amount of time on our shores when frequenting the indie rock and burgeoning alt-country scene in the 90’s. A versatile performer, Eileen can interpret a wide variety of Americana styles from honky tonk to sincere ballads and will be using this summer’s UK visit to re-establish her standing over here and promote an upcoming new album. 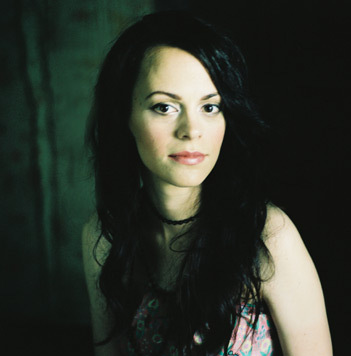 Ahead of her trip, Eileen released a stripped down recording of ‘something old; something new’ songs and BONES received a very favourable review here. Her set at the festival could just win over a new set of fans. 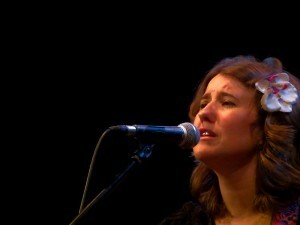 Anna Coogan has been extremely active over the last few years playing hundreds of shows across the States and undertaking numerous European trips in an attempt to establish herself both in the UK and on the continent. Her sound often errs on the folk side of country and her wonderful vocals will certainly woo those who witness her festival set this year. Anna recorded a delightful album last year titled THE NOWHERE, ROME SESSIONS with Daniel Fiaschi and it certainly made a positive impression when reviewed here. Her Maverick Festival appearance will be the centrepiece of a UK tour sprinkled with intimate shows and having not witnessed Anna live before, her set will be one earmarked when the schedule is announced. 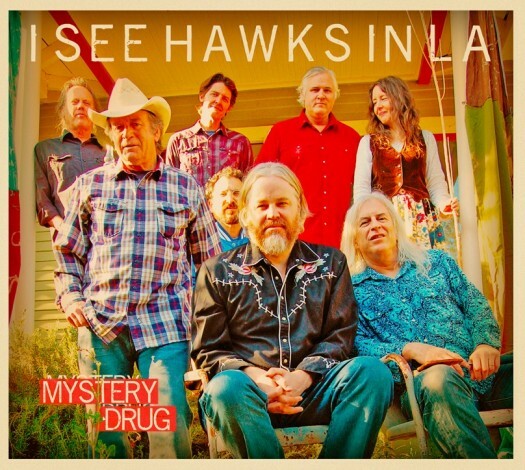 For those who prefer their artists part of a full band then Californian alt-country rockers I See Hawks in LA will be the act to see at this year’s festival. Over the last fifteen years and numerous albums, the band formed by Rob Waller and the Lacques brothers, Paul and Anthony, have won many plaudits and worked alongside Americana luminaries such as Dave Alvin, Lucinda Williams and Ray Wylie Hubbard. For this year’s UK trip which does feature other dates around the country, the band has a new album to promote with MYSTERY DRUG receiving a positive review here. 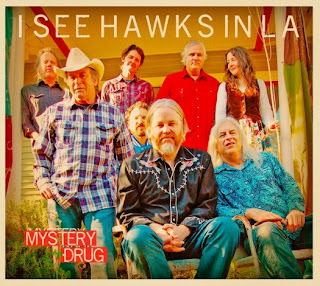 If the sun shines, and without tempting fate, it normally does on Maverick Saturday, the set of I See Hawks in LA may just well transport you thousands of miles west to the Golden State for a brief moment in time. Also appearing from the USA this year are all female Californian combo The Rainbow Girls, punk grass Nashville duo Grace and Tony as well as regular Maverick visitor Phil Lee. All these artists will no doubt leave their own eclectic stamp on the festival and enable the organisers to demonstrate how much quality depth can be sourced from the modest budget. So that concludes another American line up that will ensure Maverick festival goers are served a varied and impressive diet of high quality imported roots music. Obviously these artists are as advertised on the festival website at the time of publication and may be subject to change. All that is left to preview now is the fantastic and very special UK line up for this year’s festival and that will be appearing next month.